Kellogg’s Raisin Bran has been an American pantry staple for decades. However, over the last few years, the cereal category has declined and competition in the breakfast space has continued to grow, leading consumers under 45 to sometimes overlook the cereal, thinking it’s not for them but for older generations. To help the brand continue to grow, Raisin Bran needed to reshape the way consumers thought about their cereal. To reframe the brand and drive relevancy with younger audiences, we playfully leveraged two points of cultural fuel: “Dad Bods” and the resurgence of 90s nostalgia. Our aim was to link both to our targets’ desire to pursue wellness without sacrifice. 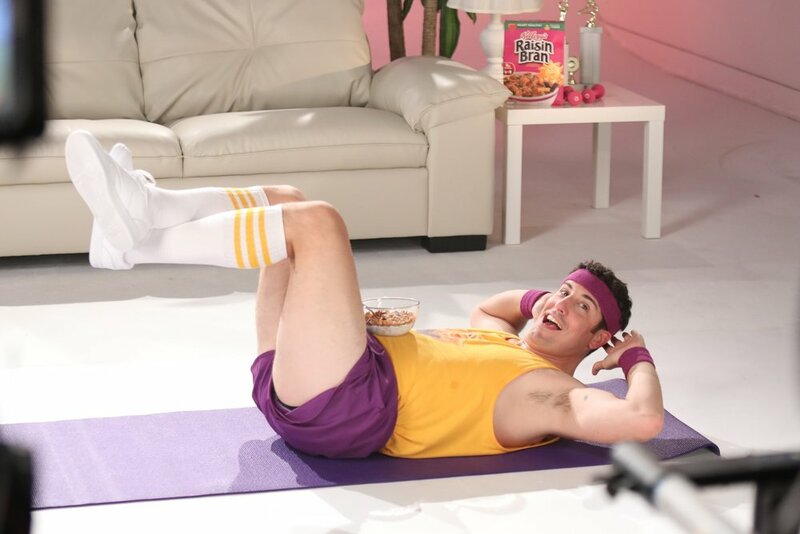 In turn, we created the “Kellogg’s Raisin Bran Bran Bod Plan” - a humorous morning “exercise” routine that positions Raisin Bran as a tasty first step towards digestive wellness, all through the humor of actor/influencer Jason Biggs. The program was a smashing success, exceeding everyone’s expectations – even Jason Biggs. The “Bran Bod” content which premiered on Jason’s Instagram page, generated over 102,500,000 earned impressions, exceeding goal by 11%. The program was covered by outlets such as, Daily Mail, OK Mag and People. “Bran Bod” also generated over 875,000 organic engagements on Jason’s channels alone and more than 15 celebrity interactions, including Dax Shepard, Minka Kelly and Angela Kinsey. But our real measuring stick - younger consumers took note, some even dressing in Jason’s “Bran Bod” outfit for Halloween.